Of the respondents, the largest percentage only ate beans 1 per week and that was 27% of the group. 18% did not eat beans at all during the week. 14 people (10% of the group) ate beans 5 or more days per week. The eating of beans CORRELATED POSITIVELY with other wellness behavior such as eating greens, onions, mushrooms, berries, and seeds; as consumption of beans go up you also ate more of these foods. It also CORRELATED NEGATIVELY with eating fried foods, and meat, that is as the bean conceptions goes up, the eating of meat and fried food tends to go down. The consumption of beans also correlated positively with physical activity, meaning that as you’re bean consumption when up you also tended to exercise more, stretch more and perform more strengthening exercises. Similar finding were found for the eating of greens as they also tended to be associated with what we would think of as good wellness behavior. As for disease states there was a negative association between the consumption of beans and obesity, with a rate of obesity of 29% for those that do not eat beans and a rate of 7.4% for those that ate beans for 4 or more times per week. In terms of disease trends, in contrast to meat, as the days of beans go up, the prevalence of most diseases (8 of the nine checked) tended to go down. The only one that did not was back pain Back Pain. This was difficult to interpret as the number that ate beans daily was very small. Overall, the people who at beans 5 or more times per week(14 of you), had no medical conditions, with the exception of one case of back pain. Overall it would seem that, like greens, beans have a positive impact on health. Can’t say that its totally due to the beans as, eating beans is related to other good behavior. 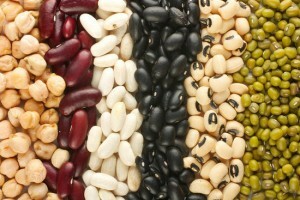 That being said, it was observed in the “Blue Zone Project (https://www.ted.com/talks/dan_buettner_how_to_live_to_be_100), that in the cultures that tend to have longevity, they do tend to eat a lot of beans, and less meat. 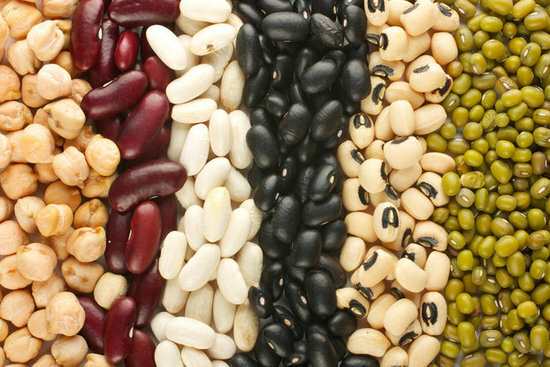 There are several reasons why beans maybe good; they have a good balance of carbs, proteins, and fats, 2) they have a good balance of omega 3:6, 3) they also tend to change the micro biome in the gut (bacteria in our intestines) in a healthy manner. So we should be eating beans on a regular, at least 5 days a week.